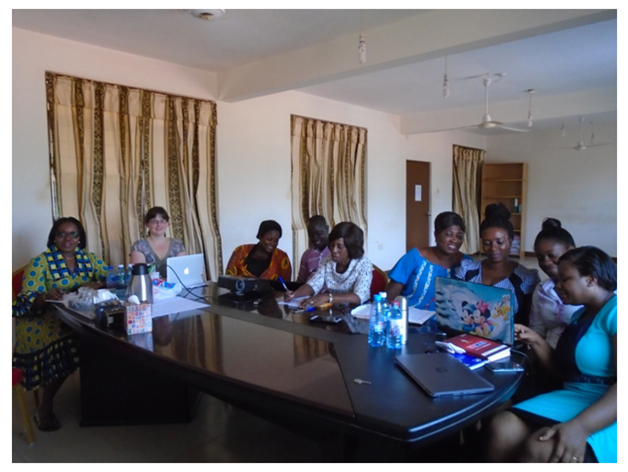 Dodowa Health Research Centre participated in a joint training together with staff of Navrongo Health Research Centre on Research Project Management in Navrongo from the 5th-6th of July 2016. The training was funded by USAID Evaluate 4 Health project and facilitated by Dr. Godwin Afenyedu and Mr. Sofo Ali. Dr. Afenyedu gave an opening remark on behalf of the project Director of USAID E4Health, Dr. Frank Nyanotor, said, this training was part of capacity building program designed for research centres following the outcome of a need assessment that was initially carried out in the research centres. The training sessions highlighted on managing research project, risk management, communication, negotiation skills, conflict management and financial management procedures in research project management. 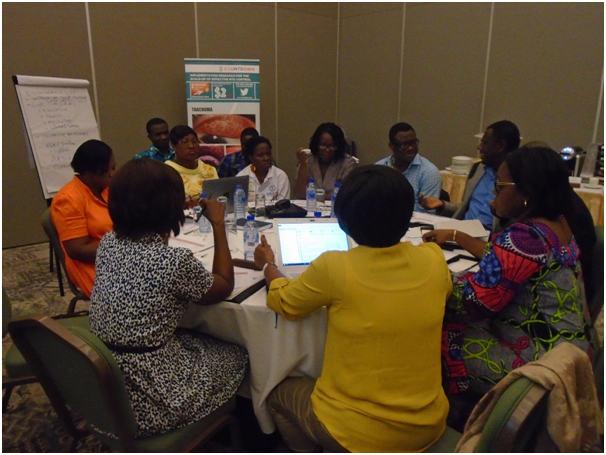 Health Systems Strengthening will use qualitative research methods to explore the feasibility of integrating the management and treatment of three Neglected Tropical Diseases (NTDs) in one district each in the Western, Brong Ahafo and Upper West Regions of Ghana into the health system. The three NTDs are Onchosomiasis, Lymphatic Filariasis (LF) and Soil Transmitted Helminthes (STH). In the same districts, Hotspots will use both qualitative and quantitative methods to explore and identify strategies for more effective mass drug administration to fast track the elimination of lymphatic filariasis. These districts are selected because they are the remaining districts with persistent transmission in Ghana. c-21-1The COUNTDOWN Annual Partners meeting started on 20th April to 22nd 2016 at the Labadi Beach Hotel in Accra Ghana. Partners from various countries in Africa, United Kingdom (UK) and the United States of America (USA) participated in the meeting.Participating partners from Africa came from Ghana, Cameroon, Nigeria and Liberia. There were partners from Liverpool, Brighton and Washington DC representing the UK and USA. The opening ceremony was graced with dignities including Ghana’s Ambassador of Neglected Tropical diseases Dr Joyce Aryee and Dr Badu Sarkordie who represented the Director General of the Ghana Health Service, Dr Ebenezer Appiah Denkyira. The Dodowa Health Research Centre, one of the research sites on the COUNTDOWN project was represented by the Director Dr Margaret Gyapong and some of the staff at the centre.